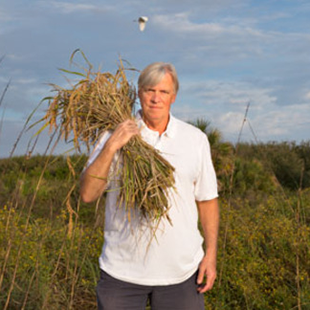 Carolina Distinguished Professor at the University of South Carolina and Chair of the Carolina Gold Rice Foundation and Head of the Slow Food Ark of Taste for the South, Dr. David Shields published his history of Lowcountry cuisine and agriculture, Southern Provisions in 2015. He is currently building a website surveying the most significant southern heirloom fruits, named Old Southern Orchards. 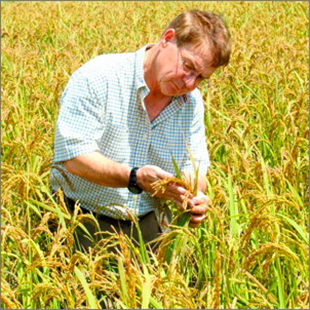 As founder of Anson Mills, Glenn has been at the forefront of reestablishing Carolina Gold Rice as a viable Southern crop. He is passionate about growing, harvesting, and milling other nearly extinct varieties of heirloom corn and wheat organically. When he sold all his worldly possessions and started Anson Mills back in 1998, Glenn envisioned recreating the Southern larder by bringing back ingredients that had vanished over time: grits, cornmeal, Carolina Gold rice, graham and biscuit flour. The Carolina Gold Foundation is an offshoot of Glenn's passionate curiosity for grains, agriculture, and history.